Promises of free willing young blonde girls attract migrant Muslim men to Sweden — 1389 Blog - Counterjihad! Here you go…these are your ‘refugees’! 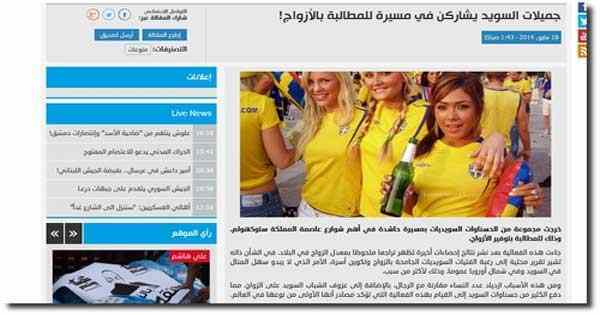 “In reality one can say that the young Syrian men are lured to Sweden by the oldest trick in the book – money and girls. Pictures of blonde beauties are published, and that Swedish women require real men,” writes Dala-Demokraten. Norwegian MP Christian Tybring-Gjedde FRP (Norwegian Hard Right). In the Grorud Valley in Oslo, blonde girls are harassed into dying their hair dark. Children are threatened with beatings if their lunch box contains salami….